Was your little one super active on the ‘inside’ and can’t keep still even now? This “JUMP AROUND” shirt will not only channel 80s hip hop, but also let your little one know its always good to move our bodies. 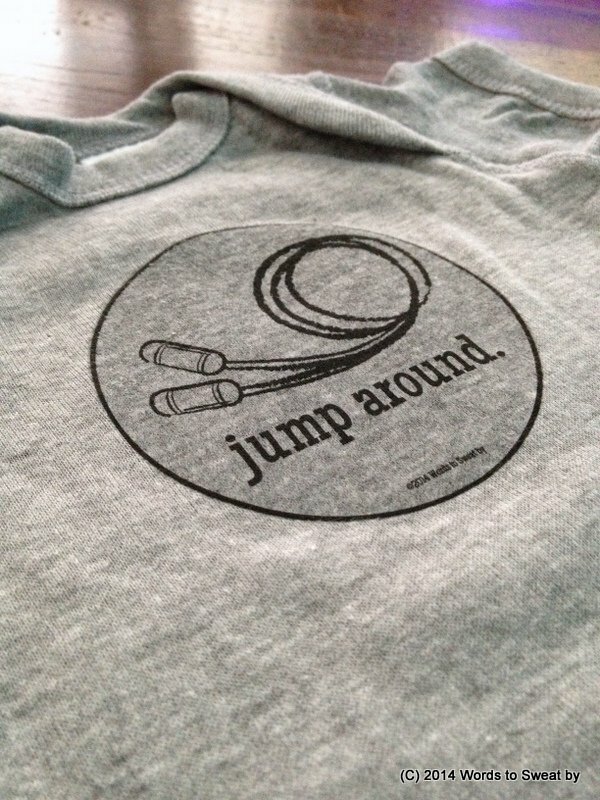 This “JUMP AROUND” t-shirt is part of the Use Your Words™ collection and offered on a ‘standard-issue’ fitness gray jersey knit. It is 100% cotton and available in a baby bodysuit and toddler sizes too.